Three words turn a suspected suicide into an unsettling murder, pointing to a killer whose methods and motives threaten to expose buried memories of Seong-Jae's past. Yet neither Malcolm nor Seong-Jae are ready for the shadowed secrets that could shatter their tenuous new relationship, when a haunting presence seems to stalk them around every corner, watching their smallest move, baiting them and flirting just out of reach. Is it the killer, always staying one step ahead? Or a green-eyed ghost, luring both Malcolm and Seong-Jae toward the point of no return? This one melted me...I use to be a real person but now I'm just a puddle of goo in my office chair. To start with we have yet another crime for our intrepid couple to solve and this one is every bit as disturbing as previous cases. While we have the similarity of a father and son being involved that's where it all ends and the only clue that Mal and Seong-Jae have to help them solve their case is "he pushed me." not a lot to go on. As Mal and Seong-Jae begin their investigation a suspected suicide starts to look a bit suspicious as it looks more and more like their victim might have had a helping hand. Without fail I have been enthralled by each and every case that we've been presented with. And as always in between the demands of their jobs and life in general there has been Seong-Jae and Mal exploring their relationship as both men admit to their feelings and their willingness to see where things can go. But of course this isn't going to happen without the usual banter and snark that flows between these two men as easily as breathing. I was honestly worried about how things would change once they became more involved and while it has changed especially with Malcolm it works...it works so wonderfully well. I think it's as much of a surprise for Seong-Jae as it was for me to discover that his 'old wolf' is a cuddler and maybe a bit on the sappy side but it all seems to be such a part of him. If I was enamored of these two before they actually started being a couple it's only gotten better with this episode. I know I've indicated in previous reviews that there's also a bigger picture story being woven throughout this series from episode to episode and it's still there and with each episode it's moving more and more to the foreground and in very surprising ways it's also becoming entangled with each episode's storyline as it draws the reader into a spiderweb that's threatening to trap everything that it touches. So far there have been hints of where this threat has originated from but the real mystery isn't where it's come from, but where it's going and how it's all going to end. Ok, so I'm trying not to gush too much here but seriously I'm not sure how to refrain from this or how to explain just how incredibly hot these two men are...honestly, I've read entire stories that haven't been nearly as incendiary as one simple moment between these two men and I'm talking about moments that did not involve anyone getting naked...there have been simple moments of a hand straightening a tie, a kiss, a look that promises steam and heat and passion and then there are the promises...promises that speak of knowing each other of caring of never letting the other fall. 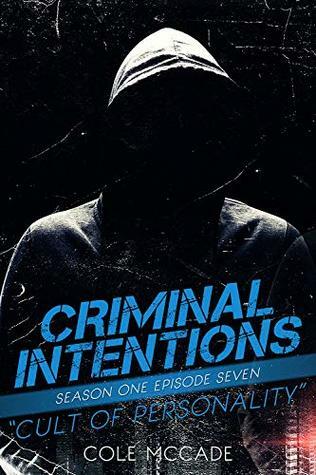 Criminal Intentions is by no means a conventional love story but these MCs are to say the least by no means a conventional pairing and at the end of the day it all works and just like a favorite television show I look forward to each new episode and finding out what unexpected surprises it's going to hold for me. 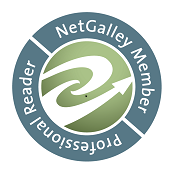 An ARC of 'Criminal Intentions: Cult of Personality' was graciously provided by the author in exchange for an honest review.